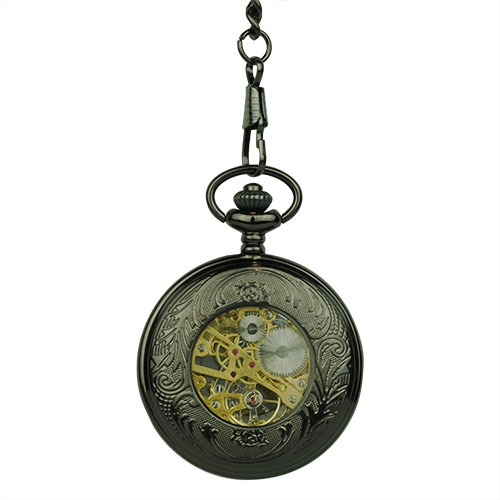 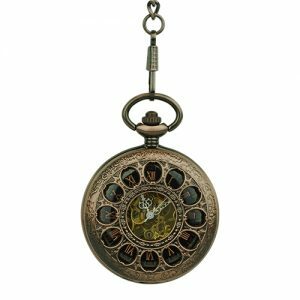 Black Floral Motifs Hunter Pocket Watch - Fob & Co. 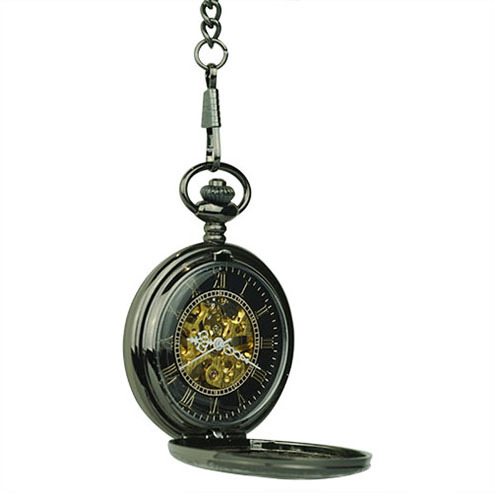 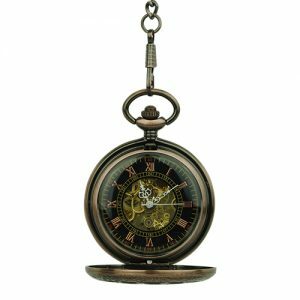 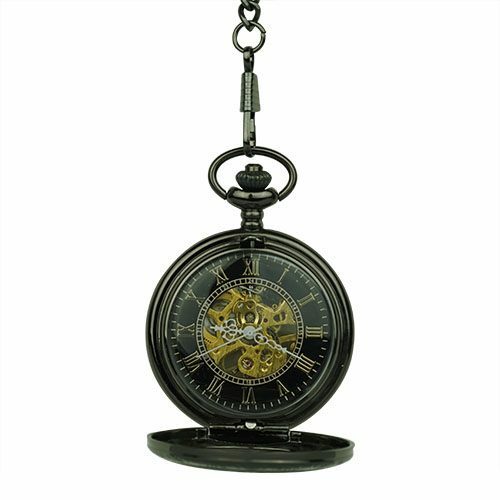 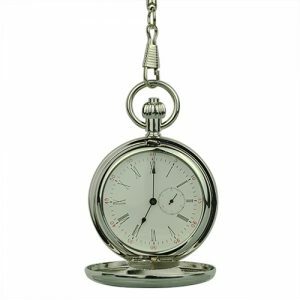 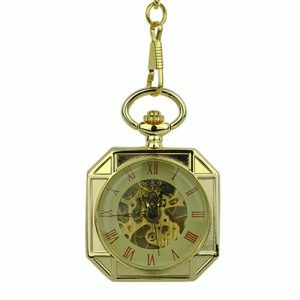 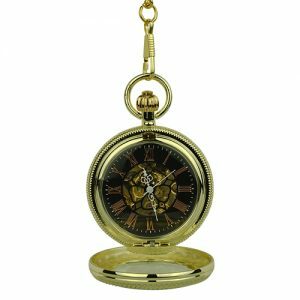 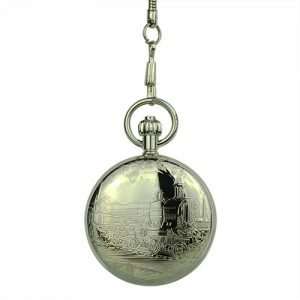 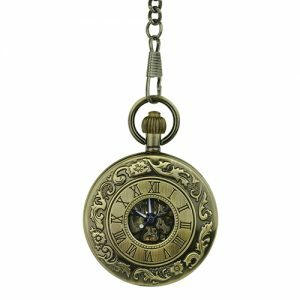 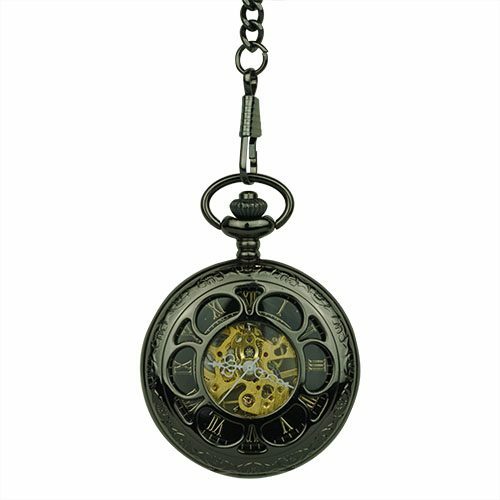 Enjoy the look and feel of this beautiful hunter pocket watch with any outfit. 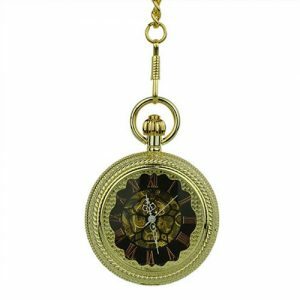 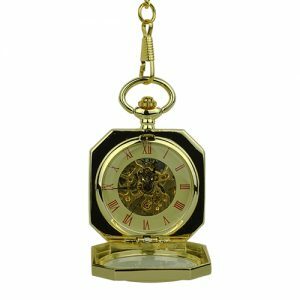 It features a black finished flower cover that reveals gold Roman numerals against a black background and a golden skeleton. 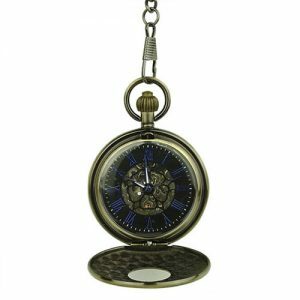 The back cover is finished with a flowing vine pattern and a small window to view the inner workings.